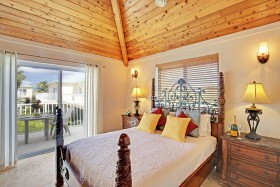 Archive from category "Two Bedroom Villas"
Deluxe villa with spectacular ocean vista, steps from protected sandy beach. 2 bed, 2 bath, open living area, large windows, beautifully furnished. Middle Caicos.